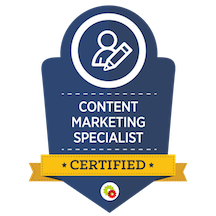 I am a certified Content Marketing Specialist who understands that creating good content takes time — time that you and your team could surely be spending elsewhere. Yet, according to HubSpot, 82% of marketers who blog, see positive ROI from their efforts. And companies who embrace content marketing, see 6x higher conversion rates than those that don't. So, how do you juggle the obvious need for consistent, custom content with keeping all of your other projects afloat? I partner with brands to generate more leads, increase organic search traffic and build awareness through blogging, content writing, ghostwriting, and enhancing overall content strategy.